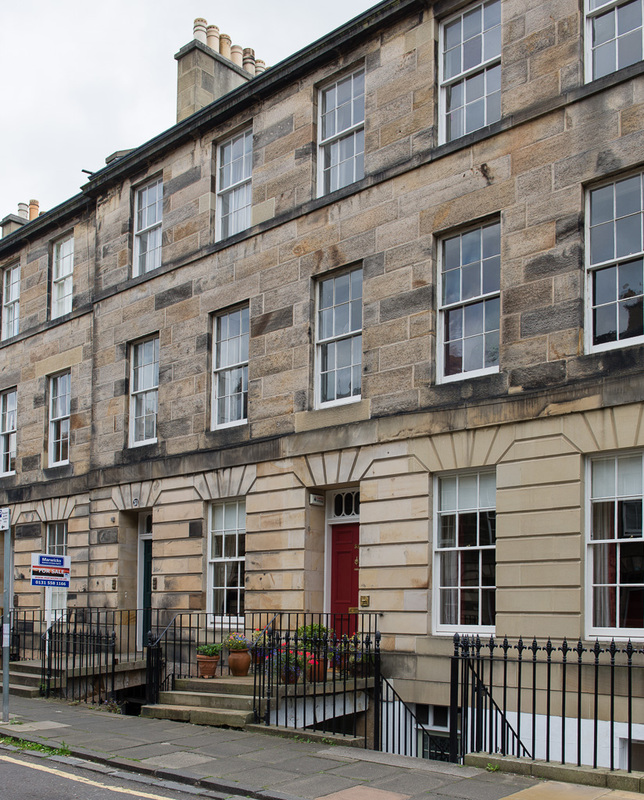 This very well located, comfortable and bright 1st floor apartment is situated on Cumberland St, in the heart of Edinburgh’s renowned World Heritage area of New Town. 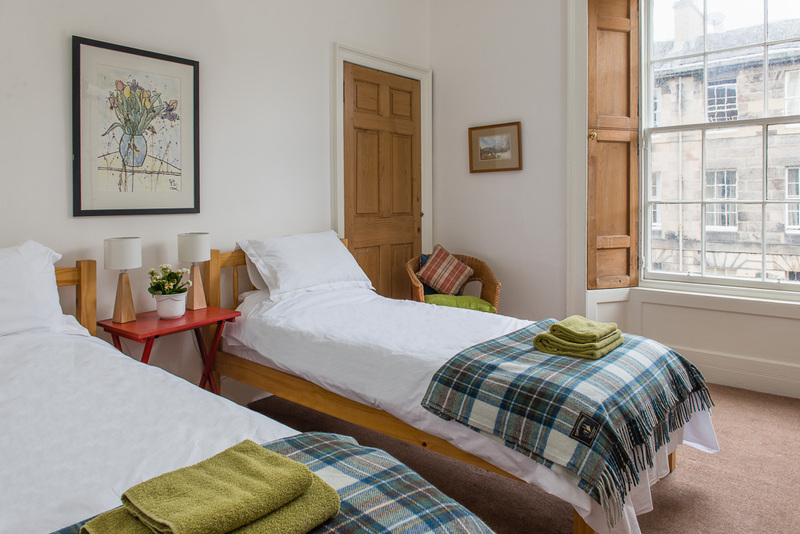 The apartment was built in 1820 and is a 12 minute walk to Princes Street in the very centre of the City, and a 10 minute bus ride to the Royal Mile, historic Old Town and Edinburgh Castle. The nearest bus stop is a minute’s walk from the apartment. 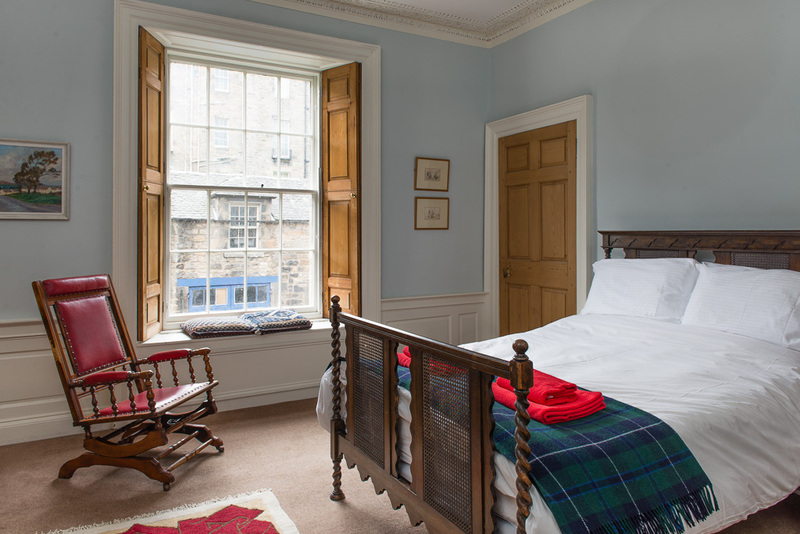 It is a great base from which to unwind and explore the marvellous city of Edinburgh. 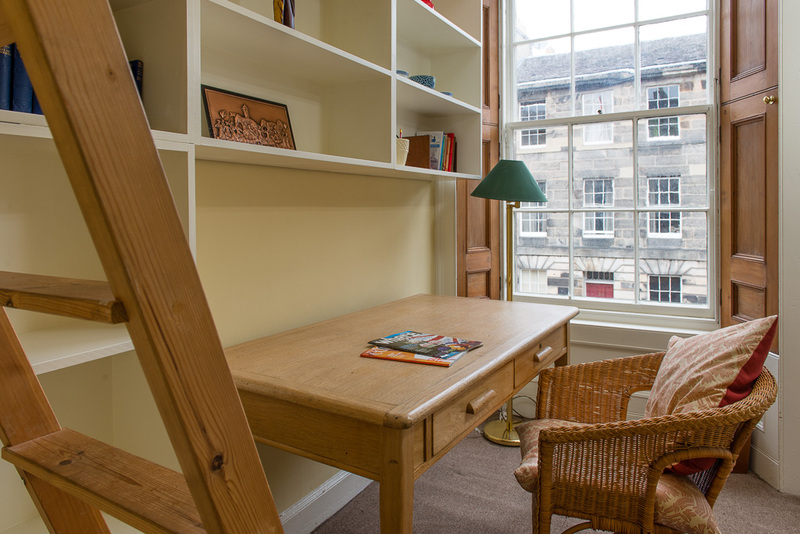 The apartment is very well situated for visiting all the main attractions in Edinburgh’s World Heritage sites of the Old and New Town. 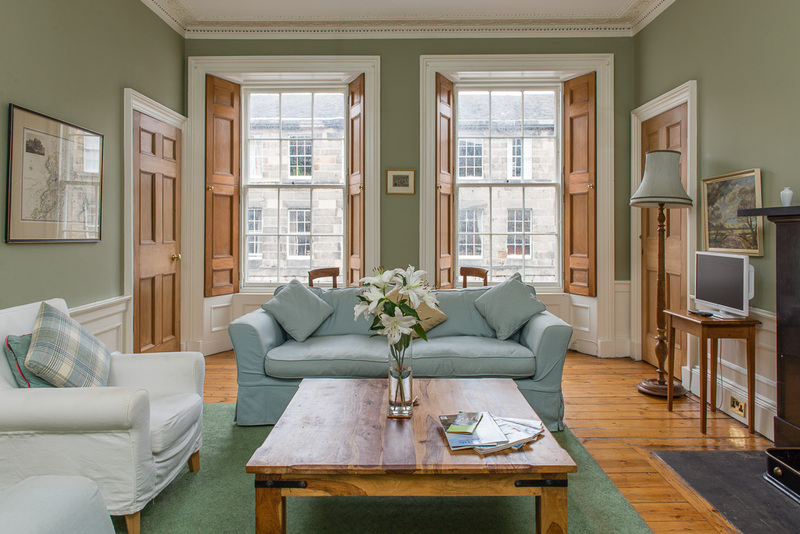 A short walk takes you to the peaceful and beautiful Water of Leith where you can amble along the leafy walkway beside the river and explore an aspect of Edinburgh only locals normally see. 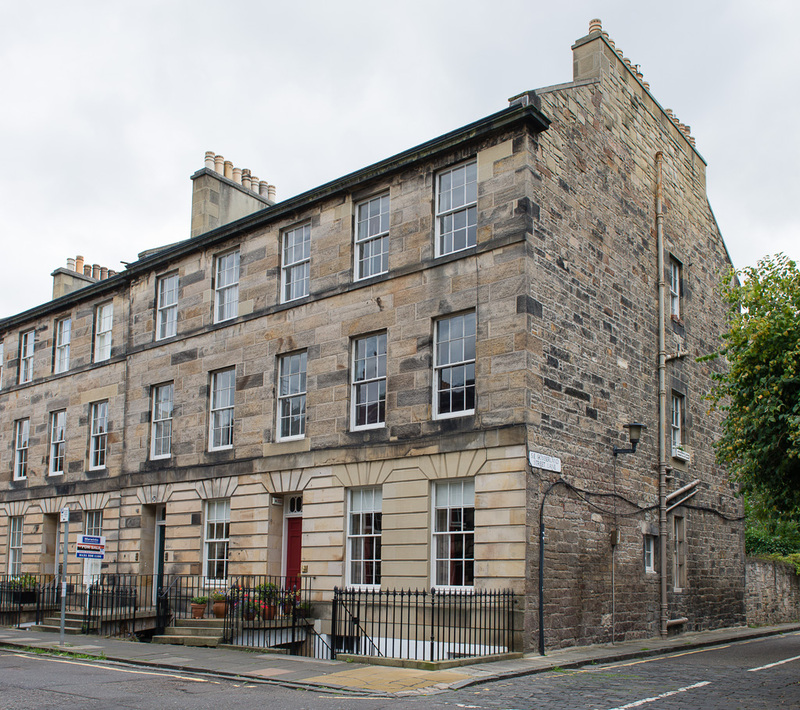 As well as the many historic connections in this area there are a large number of local shops, cafes, galleries and boutiques on nearby Dundas Street, Broughton Street and Stockbridge. 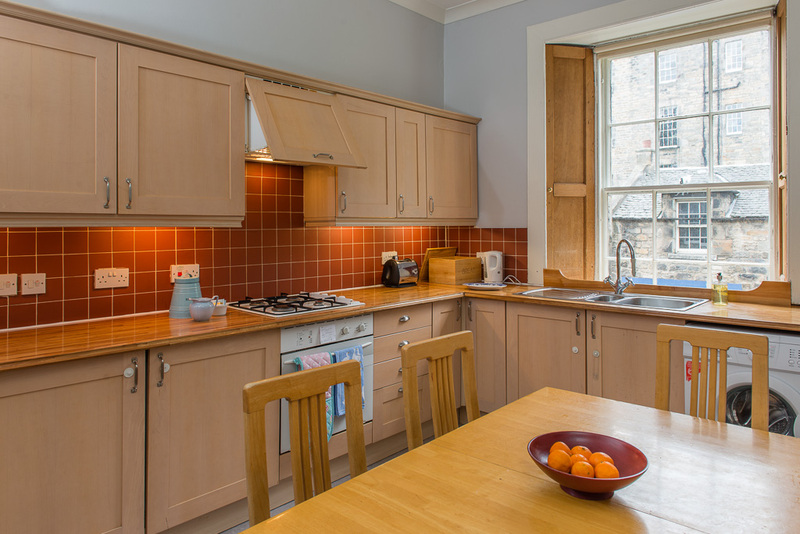 New Town has great restaurants and bars where you will be able to experience the rich culture of Edinburgh life. It lies only a few minutes’ from Scotland Street made famous in the well known Alexander McCall Smith novels. 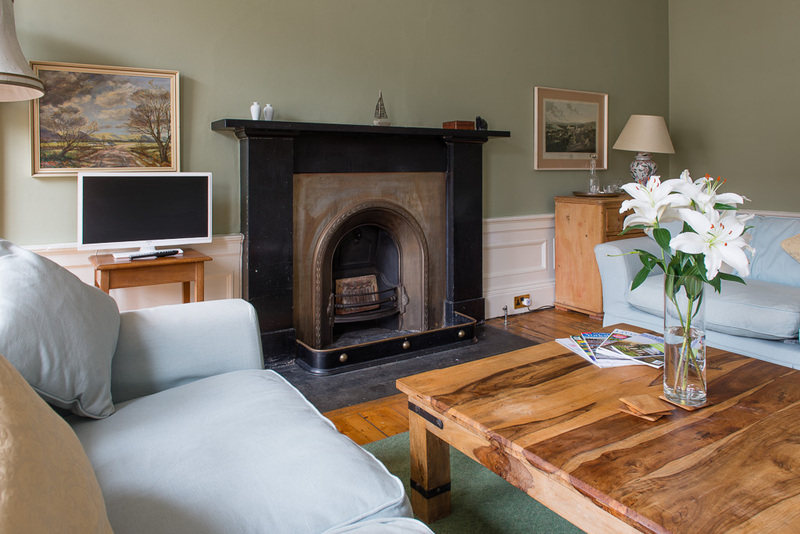 The apartment is elegantly furnished and will provide a stylish and very comfortable base for your stay. 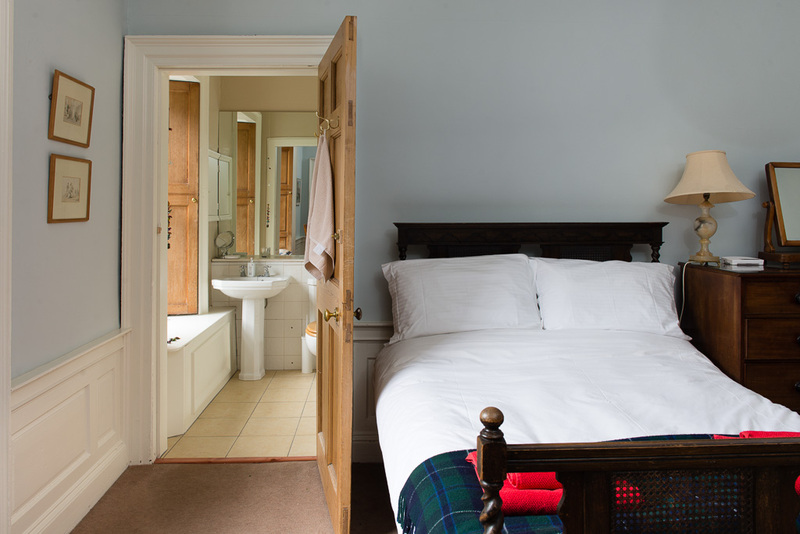 The main bedroom has a large double bed with en suite bathroom. The second bedroom has 2 single beds and there is separate family bathroom. 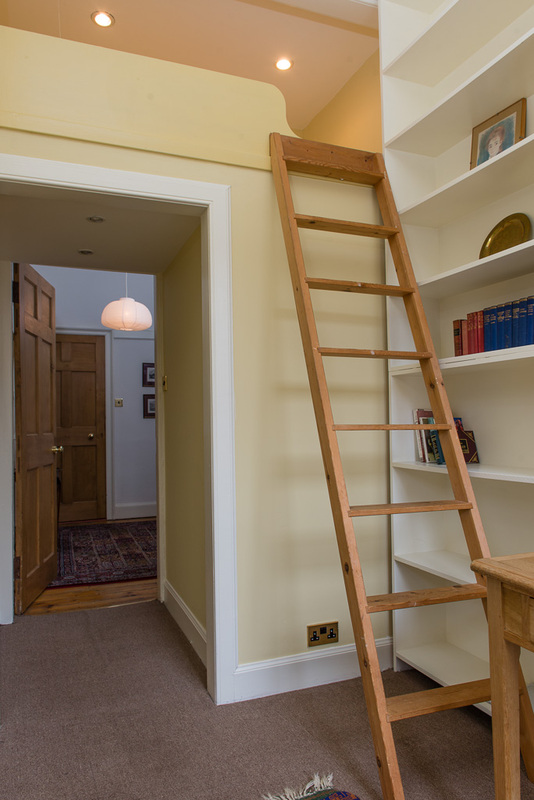 There is a further full length single cabin style bed in the study. Cumberland Street is a quiet street and has very little passing evening traffic allowing a good night’s sleep. 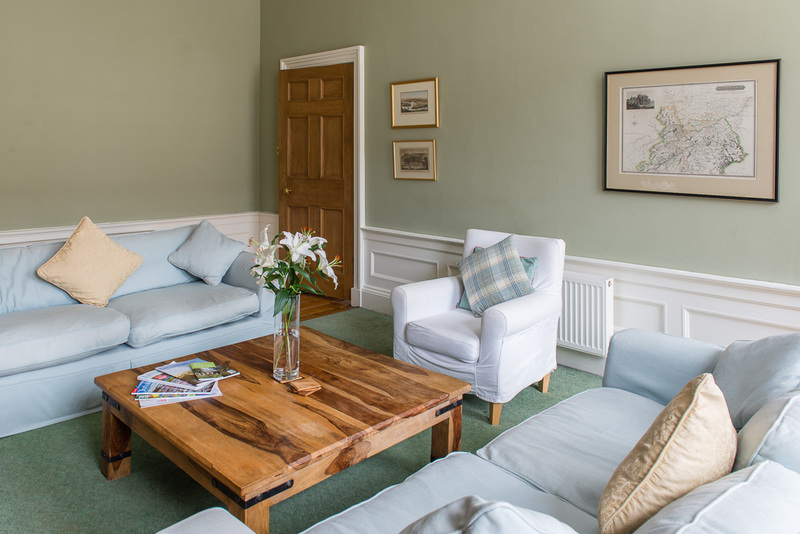 The high ceilings and restful colour scheme in the sitting room provide a great place to unwind after a hard day of sightseeing, shopping, or festival going .The dining kitchen is a large and sunny room and can sit 6 people comfortably. 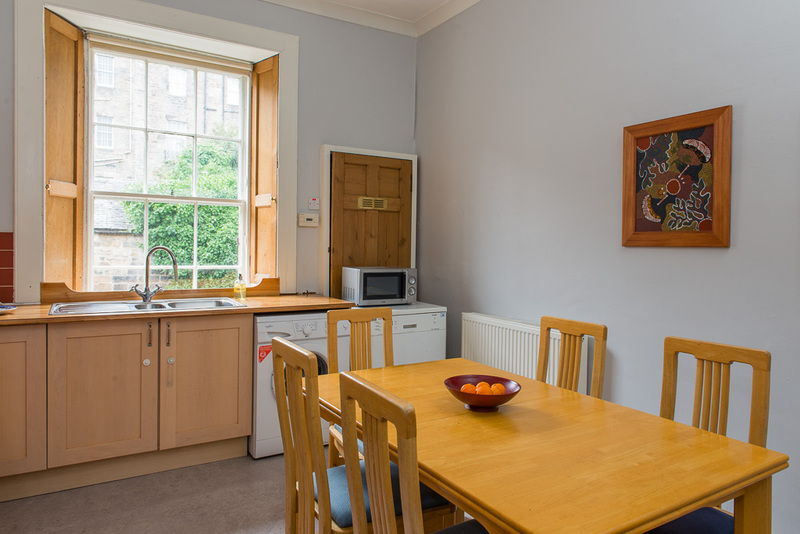 It has all the modern appliances you would expect, dishwasher, washing machine, microwave, fridge and freezer, and is very well equipped if you wish to cook at home any evening. 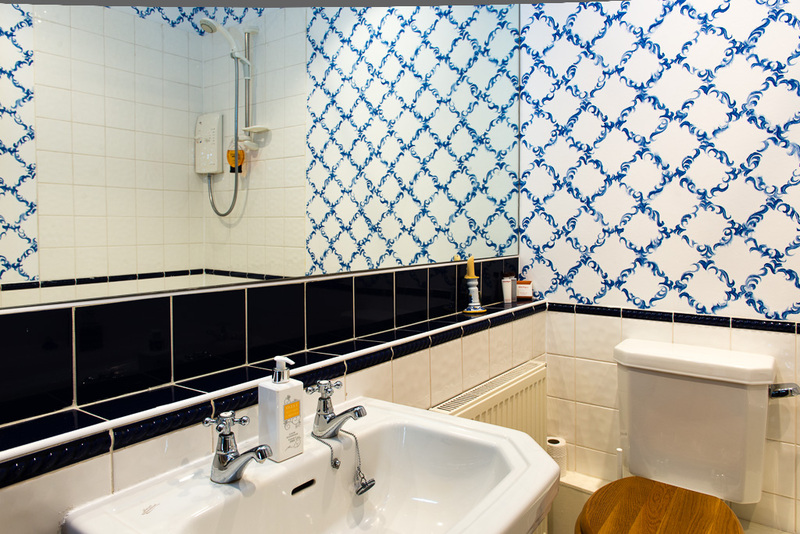 Hair dryers, iron and board, towels, linen, and Wifi are provided and are included in the rental. On street car parking is free every evening between 17.30hrs to 08.30hrs and from Friday evening to Monday morning. A car, however, is definitely not essential to stay here as most places are within easy walking distance or can be accessed via the local bus service which is a minute’s walk from the apartment. 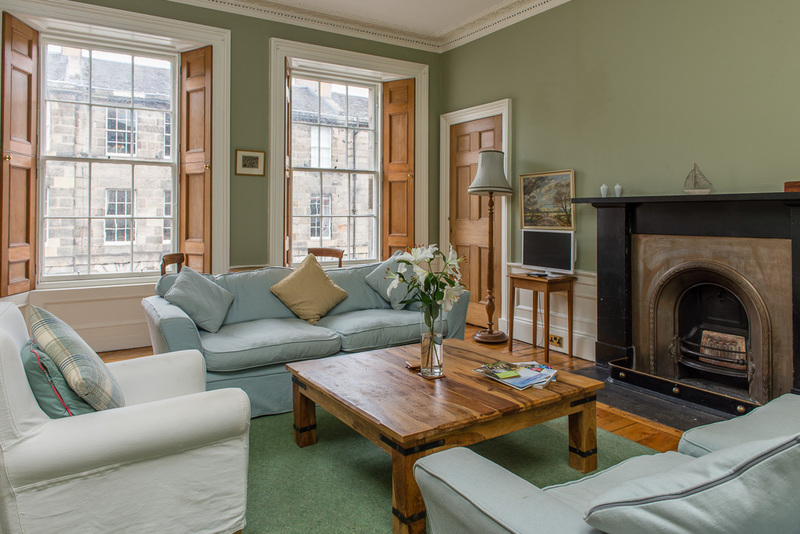 Edinburgh International Airport is a 25 minute taxi ride away and the nearest tram stop from the Airport is on York Place, a 10 minute walk away. There are no taxes or extra fees. £10 from every booking will be donated to charity.